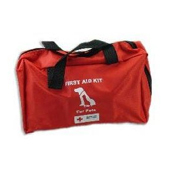 Shop for medications and pet supplies for your cat at VetDepot.com. Every cat owner dreads the thought of their pet being poisoned. The good news is that most cases of pet poisoning are preventable with a little forethought and preparation. "Keep the Animal Poison Control Center's number handy because the sooner treatment is started, the better a cat's chances of survival." Human Medications – Because of their small size and unique metabolism, cats can be very sensitive to human medications. Keep prescriptions and over the counter drugs in an inaccessible location. If you drop pills, find them before your cat does. Insecticides – The misuse of flea and tick control medications is widespread. Follow the directions on the label closely and never use a product designed for dogs on cats. When using an insecticide in the house or yard, keep pets away from the area for the recommended period of time. Plants – Landscape or house plants can be poisonous to pets when ingested. Lilies, sago palms, azaleas and rhododendrons are frequent culprits. The American Society for the Prevention of Cruelty to Animals has put together a list of toxic and safe plants for cats. 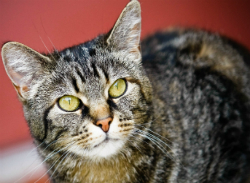 Pet Medications – Keep your cat's medications safely locked away. Many are flavored to make them appealing to pets, and overdoses can be fatal. Rodenticides – The baits used to attract and kill rodents smell and taste very good to cats as well. Never use these chemicals anywhere a pet can reach them. Cleaning Solutions – Bleach, detergents and other cleaners and disinfectants can make cats sick when they are ingested or inhaled. Heavy Metals – Lead in old paint, zinc in pennies and other sources of heavy metals can sicken and kill cats that eat them. Lawn and Garden Products – Look for warnings regarding pet exposure on fertilizers and other chemicals used in the yard. Miscellaneous Chemicals – this category includes antifreeze that contains ethylene glycol, paint thinner, drain cleaners, etc. Protecting cats from potential poisons is not always easy, but it is an essential part of being a good pet "parent." First of all, keep your cat indoors, not only to keep her away from toxic substances but also to protect her from injury, loss and infectious diseases. Next, know what you have in your house. If you find that you own poisonous plants, consider removing them or placing them in a part of the house where your cat cannot go. Keep all medications, household cleaners, insecticides, rodenticides, lawn care products, and other chemicals behind closed and preferably locked doors. Do not feed your cat human food without first being absolutely sure that is safe for her. If your cat does get into something, call your veterinarian or the Animal Poison Control Center (1 888 426 4435). They may direct you to induce vomiting, so keep 3% hydrogen peroxide and a turkey baster or large syringe in your first aid kit. Never induce vomiting without first speaking to a veterinarian. Depending on what your cat has gotten into, vomiting may or may not be in her best interest. The Animal Poison Control Center's hot line is staffed 24 hours a day, 365 days a year by veterinarians and veterinary toxicologists who, for $65 dollar fee, can guide you and your veterinarian through the appropriate treatment of your cat. Keep the phone number handy because in most cases of pet poisoning, the sooner treatment is started, the better a cat's chances of survival.